Participates in a 12 month on-the-job training program or a training assignment in one of a variety of entry level jobs characterized by heavy manual labor. Incumbents of the temporary positions allocable to this class participate in on-the-job training programs or training assignments individually structured and monitored by the departments to which they are assigned. Incumbents may receive formal or informal instruction in the basic principles which apply to the work and govern satisfactory performance on the job. Additionally, under the direct supervision of a working or first level supervisor, incumbents receive practical guided work experience to prepare them for entry level assignments, or to continue educational pursuits in the particular field. This class involves frequent heavy lifting over 50 pounds, often combined withstanding, walking, bending, stooping, squatting, twisting, reaching, or working above ground and/or on irregular surfaces. Receives on-the-job training, and under direct supervision participates in entry level work in one of a variety of job assignments. Assists crew leaders in performing sluicing, booming, and removal of debris at dams and reservoirs. May perform manual work in the construction, repair, and maintenance of streets or bicycle trails in flood access roads. Assists in the maintenance of drains, catch basins, curbs, gutters, head walls, and driveway aprons by tamping underlayment, mixing concrete, wheel barrowing concrete to the work site, lifting and carrying concrete blocks, and providing tools to more experienced workers. Assists in sewer maintenance work, such as cleaning sewer lines with the use of specialized hand or power operated tools and equipment, including sewer cleaning machines, pumps, air compressors, blowers, gas detection devices,closed circuit television equipment, etc. Identified as At-Risk Youth* -AND- Completion of 120 hours of career exposure with the County of Los Angeles Department of Human Resources' Countywide Youth Bridges Program . 4 - ARDUOUS.Involves frequent heavy lifting over 25 pounds, often combined with bending, twisting, or working on irregular surfaces; and occasionally requires extraordinary physical activity. *At Risk Youth- Identification as an "at-risk youth" by a County of Los Angeles authorized department, or other local, state or federal agency or school; or by a bona fide non-profit organization whose mission includes fostering or enhancing employment opportunities for at-risk youth; must be age 24 or younger at time of appointment. APPLICANTS WHO HAVE BEEN PREVIOUSLY APPOINTED AS A YOUTH WORKER, GENERAL LABOR FOR MORE THAN 10 ACCUMULATIVE MONTHS WILL BE DISQUALIFIED. APPLICANTS MUST MEET THE SELECTION REQUIREMENTS AND ACHIEVE A PASSING SCORE OF 70% OR HIGHER ON THE EXAMINATION IN ORDER TO BE PLACED ON THE ELIGIBLE REGISTER . Final results will be sent via United States Postal Service (USPS) mail. Multiple choice test scores cannot be given over the telephone. MULTIPLE CHOICE TESTS ARE NOT REVIEWABLE BY CANDIDATES PER CIVIL SERVICE RULE 7.19. Applicants that have taken identical test part(s) for this or any other exam within the last 12 months will have their test responses for the identical test part(s) automatically transferred to this examination. This examination contains test parts that may be used in the future for new examinations. Upon acceptance of your application, your scores may be transferred to the new examination and you may not be allowed to retake any identical test part(s) for at least (12) months. NOTE: ALL MULTIPLE CHOICE TEST INVITATIONS WILL BE SENT VIA EMAIL TO THE EMAIL ADDRESS PROVIDED ON THE APPLICATION. It is important that candidates provide a valid email address. Please add sstewart@hr.lacounty.gov and info@governmentjobs.com to your email address book and list of approved senders to prevent email notifications from being filtered as spam/junk mail. Study guides and other test preparation resources are available to help candidates prepare for employment tests. An interactive, Online Test Preparation System for taking practice tests may be accessed on the Department of Human Resources website at http://hr.lacounty.gov/ . Please click on"Find a Job" and then "Job Search Toolkit." Test Preparation Information is located under the"Employment Test Assistance" section. You can also access test preparation for the computerizedportion of the test by going to http://www.shldirect.com/practice_tests.html . While the guides will help in preparing for the test, we advise you to review all related materials that you deem necessary. 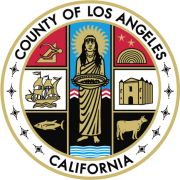 The eligible register resulting from this examination will be used to fill vacancies at various Los Angeles County departments. Applications must be filed ONLINE ONLY. Applications submitted by U.S. Mail, Fax or in person will NOT be accepted. Apply online by clicking on thegreen "Apply" button at the top of this posting. You can also track the status of your application using this website https://www.governmentjobs.com/careers/lacounty. Applications must be filed online at http://hr.lacounty.gov . We must receive your application by 5:00 PM (PT) on the last day of filing. Fill out your application completely. The acceptance of your application depends on whether you have clearly shown that you meet the SELECTION REQUIREMENTS . Provide any relevant experiences in the spaces provided so we can evaluate your qualifications for the job. For each job held, give the name and address of your employer, your job title, beginning and ending dates, number of hours worked per week, description of work performed, and salary earned. If your application is incomplete, it will be rejected at any stage of the selection process. All information and records are subject to verification. Applicants must submit all documents to be considered (diplomas, official transcripts, certificates, etc.) during application submission. All documents must be clear and legible. DOCUMENTS NOT SUBMITTED WITH THE APPLICATION MAY BE EMAILED TO sstewart@hr.lacounty.gov? BUT MUST BE RECEIVED WITHIN FIFTEEN (15) CALENDAR DAYS OF FILING. ALL EMAILS MUST CLEARLY IDENTIFY THE APPLICANT'S NAME AND THE SUBJECT LINE MUST INCLUDE THE EXAM NAME, YOUTH WORKER, GENERAL LABOR (COUNTYWIDE YOUTH BRIDGES PROGRAM), R8254A-R . The acceptance of your application depends on whether you have clearly shown that you meet the SELECTION REQUIREMENTS . Fill out the application completely and correctly to receive full credit for any related education, training, and job experience you include. In the space provided for education, include the names and addresses of schools attended, titles of courses completed, dates completed, and number of credits and/or certificates earned. For each job held, give the name and address of your employer, your job title, beginning and ending dates, number of hours worked per week, description of work performed, and salary earned. If your application is incomplete, it may be rejected at any stage of the selection process. All information and records are subject to verification. Utilizing VERBIAGE from Class Specification and Selection Requirements serving as your description of duties WILL NOT be sufficient to meet the requirements. Doing so may result in an INCOMPLETE APPLICATION an you may be DISQUALIFIED. SOCIAL SECURITY NUMBER :Please include your Social Security Number for record control purposes. Federal law requires that all employed persons have a Social Security Number. COMPUTER AND INTERNET ACCESS AT PUBLIC LIBRARIES : For candidates who may not have regular access to a computer or the internet, application can be completed on computers at public libraries throughout Los Angeles County. NO SHARING OF USER ID AND PASSWORD: All applicants must file their application online using their own user ID and password. Using a family member's or friend's user ID and password may erase a candidate's original application record. DEPARTMENT CONTACT EMAIL: sstewart @hr.lacounty.gov ?